One day there’s a big storm in Wellington and a little cloud gets his wish. He says goodbye to the angry storm cloud and goes off on adventures of his own – trying out different colours and shapes and exploring his city home. And then the wind takes him on an exhilarating ride up the North Island. But something’s wrong. The land is parched in the summer sun and the holidaymakers at the lake need water. The little cloud realises that to be a real cloud he needs to rain. But how can such a happy cloud learn to cry? Written and illustrated in 1959 by two kindergarten teachers, this charming story traverses familiar cities, mountains and lakes of New Zealand at a time when Janet and John was read at school and nearly everybody wore a hat. 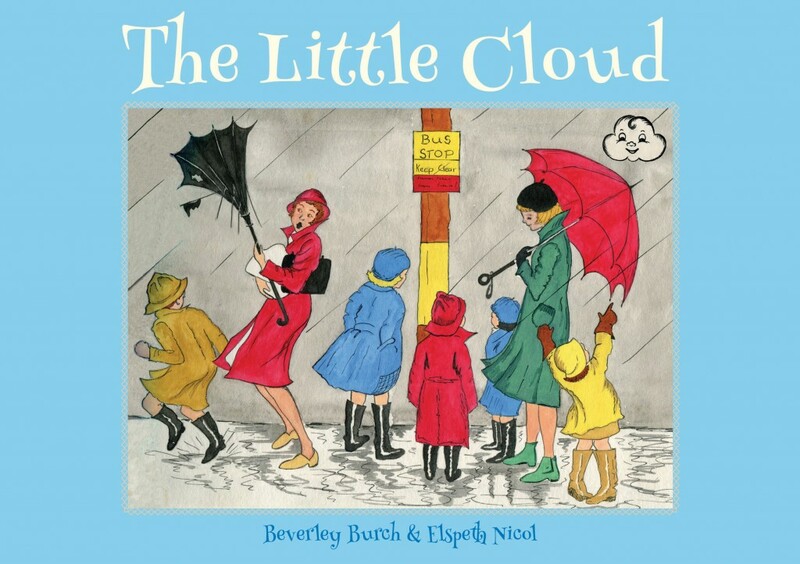 Beverley Burch and Elspeth Nicol worked together on The Little Cloud in 1959. It was to follow their first children’s book: Puku Puku the Little Grey Kiwi. Together they came up with the story – Beverley writing the words and Elspeth drawing the pictures. The manuscript was stored in various homes until discovered by Beverley’s daughter, Mary, after her mother’s death in 2014.